TRAGIC PASSING OF BILL YATES, WHO LAID THE FOUNDATION FOR PACE OF PLAY MANAGEMENT WITHIN THE GOLF INDUSTRY. Tagmarshal would like to express our shock and sadness over the news of the tragic passing of Bill Yates. “In this time of unbelievable loss to the world of golf, we would like to express our heartfelt condolences to Bill’s wife, his family, friends, and colleagues. We sincerely share in your pain, and pray that your memories of Bill will provide you with some measure of comfort,” says Craig Kleu, COO of Tagmarshal. 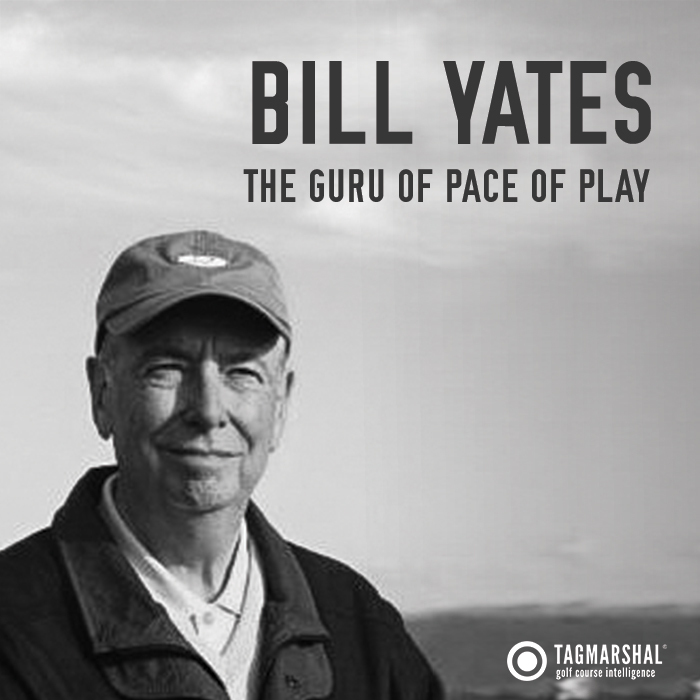 As a thought leader in pace of play management, Bill transformed the game in many aspects, dedicating over 25 years of his life to the improvement of the game. Bill’s commitment to helping golf courses deliver quality play to every player was echoed throughout the world and will continue to resonate in the golf fraternity for years to come. His invaluable impact, through countless hours of perseverance and his relentless passion, spearheaded the way in which golf course operators view pace management today. Throughout the years, Bill worked with hundreds of public, private, municipal and resort courses around the world demonstrating that any course could eliminate the problems associated with slow play providing golfers with a smooth, high value playing experience. With immeasurable achievements throughout his career, Bill featured in every major golf publication and was a keynote presenter at premiere golf conferences throughout the US and in Europe. He consulted with world-class courses such as St. Andrews in Scotland and on professionals tournaments such as the British Open, the US Open, and the US Women’s Open. Bill’s landmark study for the PGA was featured in the February 2012 issue of PGA Magazine and he was recognized as one of nine ground-breaking innovators in golf by Private Clubs Magazine. Bill will be remembered for his endless knowledge and progressive pace of play theories. Generations of golfers will have fond memories of his passion for golf operations and his thought provoking, insightful conversations. “Bill had a significant impact on golf, but more so, on our company. The time my team and I spent with him gave us an incredible amount of invaluable knowledge and insight into pace management and we were honored to have Bill join us as an advisor and for an expert talk at the PGA Show 2018. He was truly the guru of pace of play, a legend in the golfing world and we will miss him dearly as a friend and partner,” said Bodo Sieber, CEO of Tagmarshal.